While a few businesses still send out printed newsletters by snail mail, most entrepreneurs prefer reaching their client base through email. Not only is an electronic newsletter much less expensive and time consuming, it’s easier to produce and you can add links to your website. It’s a great way to promote to a dedicated group of readers. As a small business owner, you need to find as many avenues to promote as you can. For that reason, even if you have a thriving blog, you should also create a newsletter campaign, as it gives you an opportunity to reach out to your readers again, giving them a new slant on your message. You might also expand your readership as some prefer newsletters to blogs. In addition, newsletters allow for added control. For instance, you can monitor who’s reading your content, which links they click on, and sometimes which articles they share. With these statistics you can write articles your client base will read and enjoy. Also, when people start subscribing, you can easily collect their email addresses. You can use these to contact people on a more personal level. To that end, it’s a good idea to segment your list, sending out different campaigns to select people, depending on their interests. For instance, if you deliver seminars on a variety of topics, it would be natural to segment your list by lecture subjects. Or if you run summer camps for children of all ages, you might segment your newsletters by the age bracket of the children. Depending on your client’s needs, you can segment by demographics, educational background of your reader, interests or anything else you like. People subscribe to your newsletter because they expect to gain knowledge on a subject in which you are expert. You need to satisfy this need and do so extremely well. Find out what your readers’ top questions are and answer them. Do your best to solve their problems. Your articles should be relevant to your line of work, but be careful not to advertise your business too heavily. Be subtle. If you are able, create unique content. Avoid rehashing subjects already splattered elsewhere on the internet, unless you have a fresh outlook on the subject. The trick is to write content that others will copy! Keep in mind that people’s attention spans are usually quite limited. If you use subheading, italics and bullet points, it will draw their attention to the important points rapidly. Your busy readers will thank you. Also avoid long sentences and paragraphs. It’s fine for a paragraph to be a single sentence! If you have trouble writing (or can’t seem to find the time to do so), consider hiring a ghostwriter to help you. If you can’t afford one, at least hire a proofreader to find those pesky typos. It’s tough for readers to forgive too many grammatical errors. Remember, even if your email newsletters are brilliantly written, witty and informative, they won’t be of any help to you if no one reads them. You need a large readership to be effective. Include an opt-in link wherever you can. Paste it into your personal email signature, both for new messages and outgoing replies, blog articles, guest blog articles, etc. Promote through all your social media sites. If you are face to face with a potential subscriber, Invite people to sign up using your personal tablet or laptop. If you have a brick and mortar building or frequently work trade shows, create a sign-up sheet for your newsletter. Some put out a fishbowl to collect business cards, letting them know that you’ll sign them up. If you ship products, include an invitation to sign up with every package you send out. Note: If you sell through internet stores, such as amazon.com, be sure to read the fine print. Some have strict policies against this. Create a unique event and offer a door prize for everyone who signs up for your newsletter. Give rewards to customers and employees who gather opt-in email addresses. Create a fun inviting YouTube video which encourages people to sign up to your newsletter. The Golden Gate Bridge is one of our country’s most recognizable landmarks. Its caretakers don’t paint it once every few years, but keep up with maintenance every day. It’s the only way to make sure our beautiful bridge doesn’t deteriorate. As a small business owner, you also need to keep up with routine maintenance on your prized possession, your customer contact list, protecting it from expected erosion. According to MarketingSherpa, a marketing research company, you should expect your email list to deteriorate by 25% per year. Over time, your readers might change their email addresses, or perhaps they made an error when typing it in. These would produce a hard bounce, which means the email address is invalid. These should be removed immediately. You might also collect soft bounces, if there is a server error. This can also happen if someone goes over their quota. Most newsletter services will continue trying to send your email to a soft bounce address over a period of three days. Only remove soft bounces if soft bounces occur to the same address three to five times. It’s very important to avoid high bounce rates. They affect your reputation as a sender, which means your newsletters could wind up in your readers’ spam folder. Of course, having too many soft and hard bounces negatively affects your deliver rate. Include an unsubscribe link at the bottom of the email. Invite readers to update their profile, so that you have the best email for them. Use a verified opt-in process. 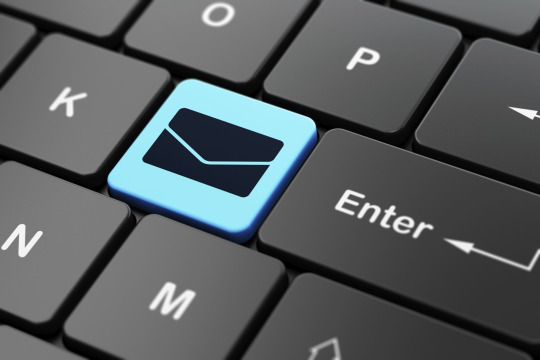 With this technique, a new subscriber must confirm their address through a link sent to them using the specified email address. Collect phone numbers or physical addresses for your subscribers, so you can follow up with them if there is a hard or series of soft bounces. Spend the time to prune the hard bounces out of your list and monitor the soft ones. There’s an art form in creating a good newsletter that people will read and forward to their friends. If you find a style that fits you and your business, giving your client base information they can really use, you’ll continue to increase your readership and your business should naturally expand.